From the Cloud 9 collection Micro Mod. Designed by Green Bean Design artist Rob Bancroft. 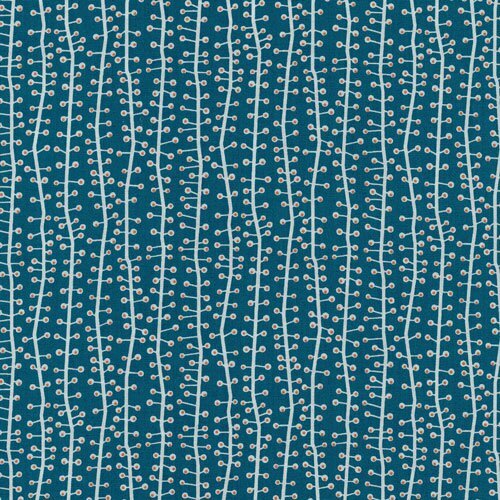 Gently waving off-white lines with stems of orange dots repeat at 1/2" intervals across a teal background creating a textured stripe.